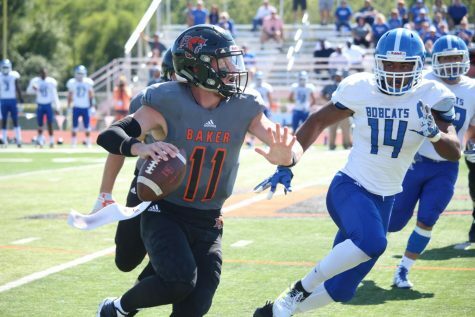 When junior quarterback Nick Marra went down in the first quarter with an injury, the last thing sophomore Logan Brettell expected was to complete 22 of his first 23 passes. 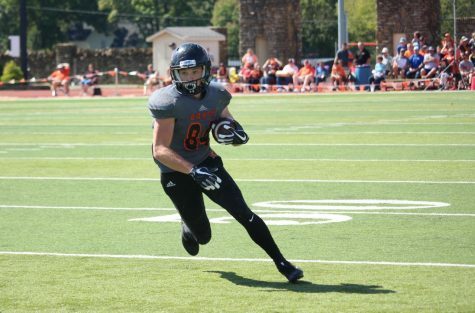 His preparation set him up for a career-high 398 passing yards with three touchdowns and two interceptions in a 40-21 win over the Central Methodist University Eagles. He was just 35 yards away from the school record set by Mack Brown in 2008. Both of those interceptions came in the second half, and head Coach Mike Grossner thinks that those can come as a learning experience. 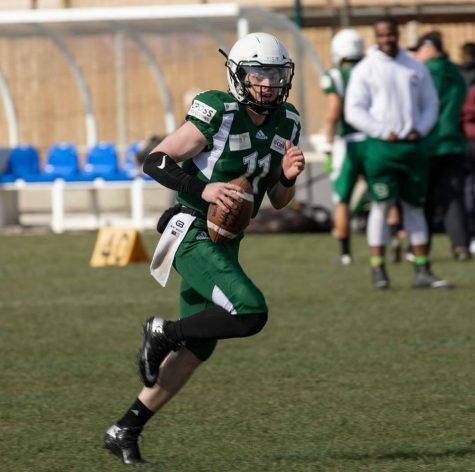 Brettell’s 22-of-23 spurt gave the Wildcats a 21-7 halftime lead, as well as freshman Indie Allen blocking a punt and returning it for a touchdown. The Wildcats had two 100-yard receivers in sophomores Cornell Brown and Clarence Clark, and two receivers with 10+ catches in Clark and junior Quanzee Johnson. The brightest star in the receiving corps was Brown, who had a career day with 9 catches for 164 yards and two touchdowns. Even with 528 yards of offense and 40 points, the Wildcats had a sloppy game with five turnovers, as well as eight penalties for 111 yards. That included an unsportsmanlike conduct penalty from Grossner. 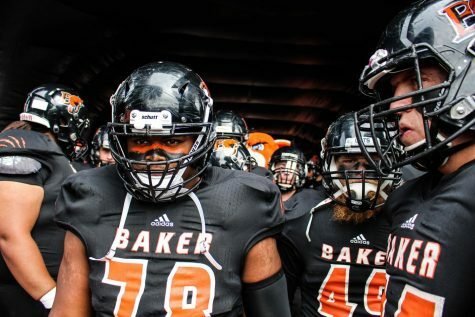 It was a tale of two halves defensively for Baker, as the Eagles were held to just 101 yards of offense in the first half, but racked up 280 in the second half. The second-half passing game for CMU kept the Eagles afloat, as quarterback Caleb Bedford had six pass plays of 20 yards or more and averaged 16.8 yards per completion in the game. Still, the Eagles were never able to pull the game closer than 16 points in the second half. 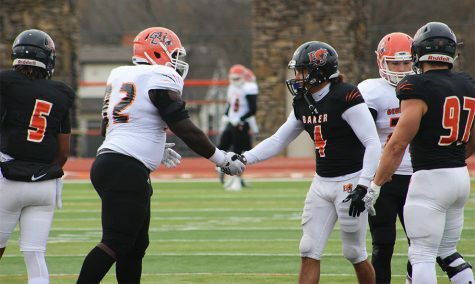 They brought the game to within two scores early in the fourth quarter, with Bedford’s 12-yard touchdown to Jamall Williams putting the Baker lead at 37-21. On the ensuing drive, Clark responded with a 42-yard field goal. 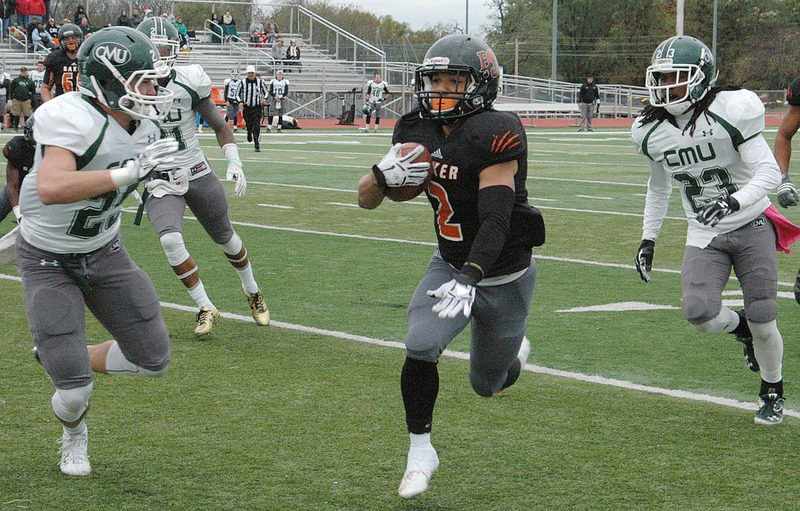 The Wildcats reached their eighth victory of the season on senior day, which held great importance to the returning Wildcats after last year’s senior day loss at the hands of Missouri Valley College. 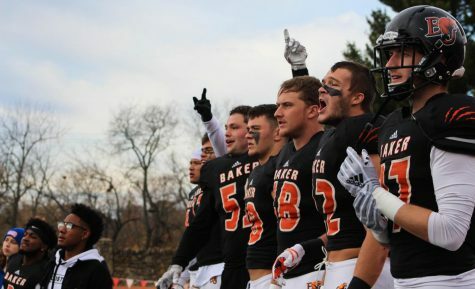 “Last year, we let the seniors out with a loss, and we remembered how bad that felt, so we wanted to go out there and win it for our seniors,” Brettell said. The Wildcats will have an opportunity to exact revenge on the Vikings of Missouri Valley, as the two teams clash on Saturday. 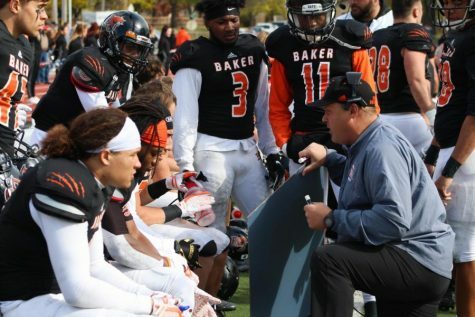 Even though the Vikings are two games behind Baker in the overall conference standings at 6-3, Grossner is impressed with the team out of Marshall, Missouri. 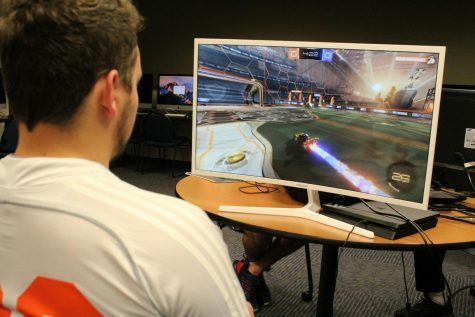 “They’ve shown in spurts that they can be the best team in the league,” Grossner said of the Vikings. 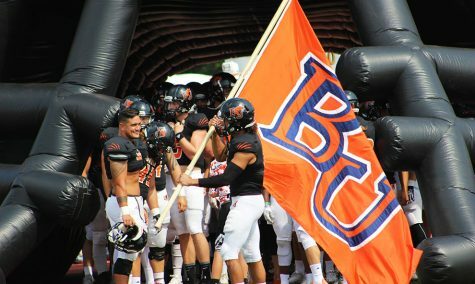 BU will travel to Marshall for the game that takes place at 1:30 p.m. for Missouri Valley’s senior day. The Wildcats will look to protect their 8-1 record and No. 3 ranking in the NAIA.